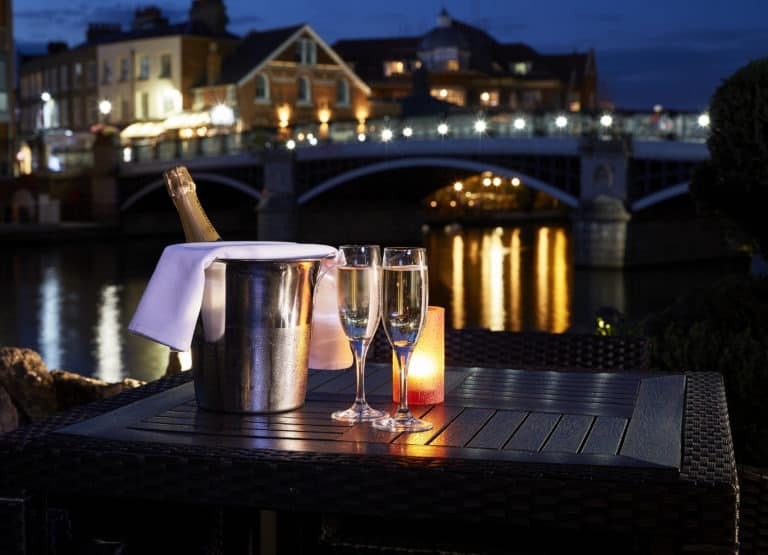 A 4-star riverside hotel comprised of several characterful buildings clustered around a historic cobbled street by Eton Bridge. Here you will find our collection of individually styled bedrooms, a modern conference centre and the Wren’s Club with a gym, spa treatments, outdoor jacuzzi and sauna. Couples and families can choose from a range of 133 historic and contemporary rooms and suites – perfect for a weekend getaway or romantic break. Business travellers appreciate our cost-effective single rooms. Additionally, our seven apartments are ideal if you'd like a little extra space, a kitchenette or to stay in Windsor a little longer. All rooms, suites and apartments have free high-speed WiFi, and all guests enjoy free access to the Wren’s Club. The Sir Christopher Wren Hotel is located right on the River Thames, within easy walking distance of Windsor’s restaurants, shops and attractions, including Windsor Castle. The world-famous Eton College is a seven-minute walk from the hotel, just over Eton Bridge and down the High Street. You are a five-minute stroll from the town’s two train stations and bus stops with direct services to London, Heathrow, Slough and Ascot. We have limited valet parking with advance reservation, and a private jetty where you can moor your own boat or embark on a cruise down the Thames. Enjoy delicious cuisine and relaxing drinks in the panoramic Brasserie at Sir Christopher Wren. The summer terrace is a popular spot for Afternoon Tea or sunset cocktails watching boats sail down the river. A generous full English breakfast is served every day and can be included in your room rate when booked via our website. Room service is available around the clock. 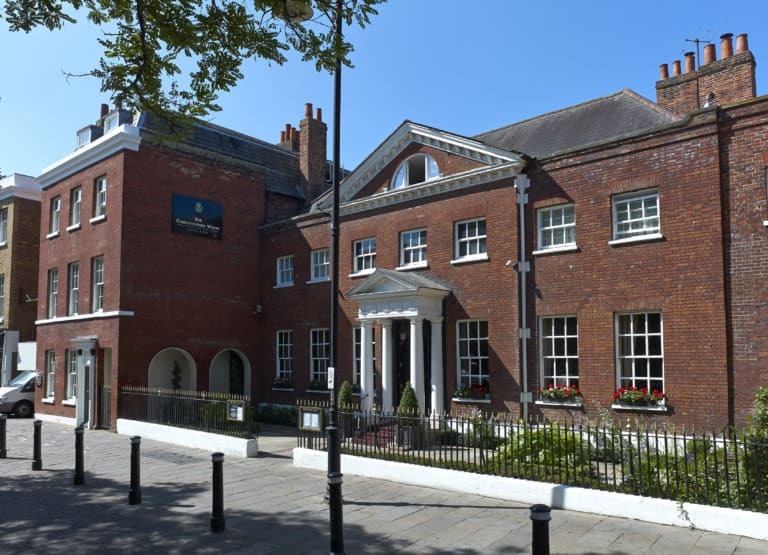 With several modern, air-conditioned meeting rooms and two atmospheric banqueting suites, the Sir Christopher Wren is a unique venue for weddings, conferences, meetings, Christmas parties and other events in central Windsor. Our wide terrace overlooking the Thames is a beautiful spot for photos and cocktail receptions. We can even arrange for wedding couples to cruise the Thames on a boat from our private jetty.